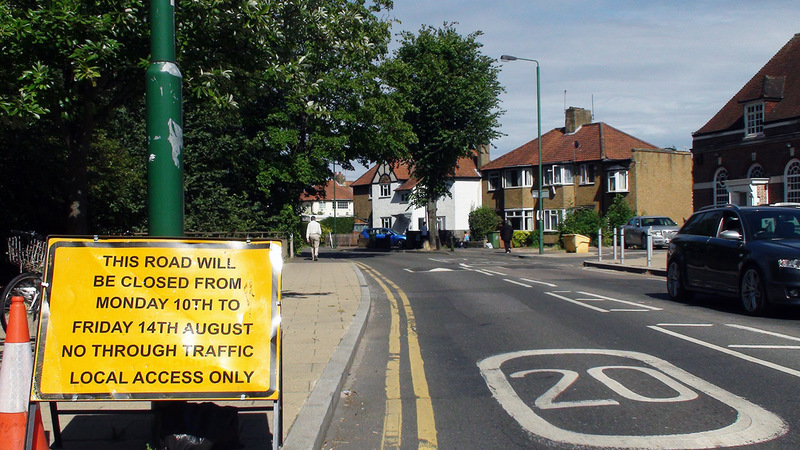 If Green Lane is one of your normal thoroughfares, be warned - next week you are going to have problems. From tomorrow (Monday 10th) until Friday (10th) Green lane will be closed to through traffic while a series of traffic calming (or perhaps traffic frustrating - depending on your point of view) measures are being put in place. This is part of a larger set of similar works around the area and was originally planned for the beginning of July but had to be put back to allow Epsom Coaches to reorganise the S3 bus route. So don't let yourself be caught up in the extra traffic. No doubt Longfellow, Browning and most streets off Browning will suffer some additional traffic because of this so if at all possible leave a bit earlier to compensate. "Why Green Lane still closed? Sign still there . There is no reason to be closed. Who's responsible?"